Tonight on TNT, everyone's favorite Thursday night dysfunctional family (sorry, Community) revealed the NBA All-Star reserve teams. Although it wasn't as animated as last week's edition when Chris Webber almost crawled over the table to kill Barkley, there was definitely some division on the panel. (Mo Williams an All-star...REALLY?). Being the sneaker and style obsessed fan that I am, my thoughts immediately jumped to which athletes would be rocking special limited kicks to the event. Afterall, the game is a glorified shootout (All-Star Saturday>All-Star Sunday). Will CB4 or D-Will pay homage to their hometown in the lone star state? Will LeBron change sneakers every quarter? Only time will tell as the sneakers leak online, but allow me to break down the brand presence per athlete. As usual, perennial sponsorship overlords, Nike have 14 athletes in the main All-Star game on Valentine's Day. If you count their Jordan brand branch, that adds another 5 ballers. Adidas is right behind MJ's kids sending 4 members of their brotherhood (sorry, Gilbert). And Reebok has only one player going to the game, but it's fitting that it is Mr. It's All About Me, Allen Iverson. 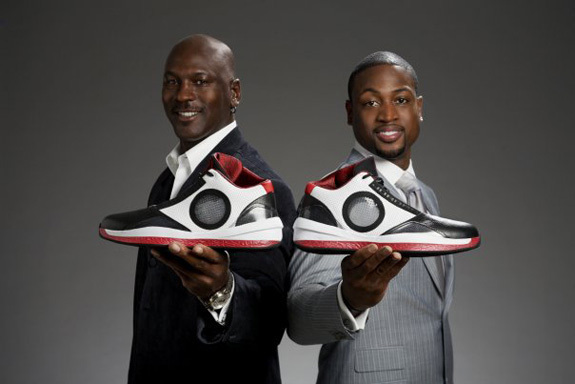 Converse has been shutout now that Dwyane has gone to the more notable Nike property. Personally, I would love to see him rock the Weapons. They need to re-do the Bird/Magic ads with new kids....may I suggest Brandon Jennings and Tyreke Evans. But that's an argument for another day. Here's the breakdown of the roster including the kicks they were last seen wearing. 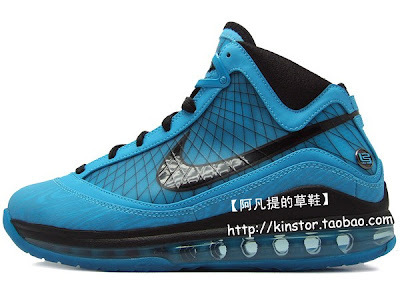 I'm not going to include all of BronBron or Bean's colourways, as that could kill the internets....and this isn't a Nike campaign (well, not completely anyway). But, I gotta include these. Apparently LeBron will be rocking these robin's egg blue VII's at the All-Star game. Will he be having Breakfast at Tiffany's in these? Who are you most looking forward to seeing in the All-Star game? Who was snubbed? Personally, I'd take Josh Smith over Horford and you gotta make some room for David Lee. I don't think KG should start....but the fans have spoken. No matter what, I'm sure Jerry Jones and Mark Cuban will help make it entertaining affair.